- to appeal to all sides that they avoid appropriation of church property, other acts of violence and retaliation. What does this mean for common believers? And what do church hierarchs, hierarchs of the Kyiv Patriarchate, Moscow Patriarchate, and others think about it? Let's try to figure out the details. 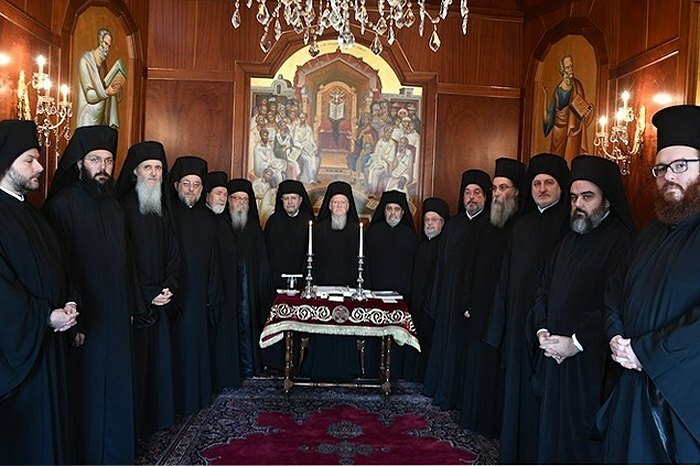 In fact, the entire legal (in terms of church canons) base was prepared to grant the tomos on autocephaly to Ukraine in Istanbul on 11 October. The next stage is the formalization of official papers, which will most likely happen at the next meeting of the Synod (9-11 November). Given the political importance of this issue for Ukraine, President Petro Poroshenko hurried to claim the "victory, having tweeted about the "positive decision" and "finally it happened - Ukraine has got the Tomos". His opponents immediately accused him of jumping the gun and almost distorting the will of Fanar. Poroshenko certainly made it look better than it was, but not much. It must be remembered that in Greek, a "tomos" is a "document", an official paper which requires a certain amount of time to properly finalise. Especially in such a conservative institution as the Ecumenical Patriarchate. But this does not change the essence of Fener's decision. This is my point No 1. Second, (pay attention to the second and third points, respectively): Fener actually cancelled the resubordination of the Kyiv see to Moscow, which happened more than 300 years ago. This decision is more than just a "point in favour of Ukraine". This decision rocks the foundations upon which all the "power and glory" (as they used to think of themselves) of the Moscow church are based, which all this time has been trying to compete with Constantinople for primacy in the Orthodox world. Including by using the "allegiance" of numerous Ukrainian parishes. Kyiv is a canonical territory of Constantinople, which Fener can even confirm by a number of supporting archival documents. And one cannot argue with archival documents - there is a high risk of "becoming entangled in statements" and, as a result, of making a circle. Against the backdrop of a global change in the status of the Russian Orthodox Church, the "Ukrainian issue" is no longer so important for the Danilov Monastery, the official residence of Russian Patriarch Kirill. The main event on Thursday (point No 4) is the renewal of the rights and ranks of Filaret and Makariy. Many media outlets interpreted this as the "lifting" of the "anathema" imposed on them by the Russian Orthodox Church for political reasons. However, this is not entirely true. In fact, Constantinople had never recognized the Moscow anathema, so there was nothing to "lift". 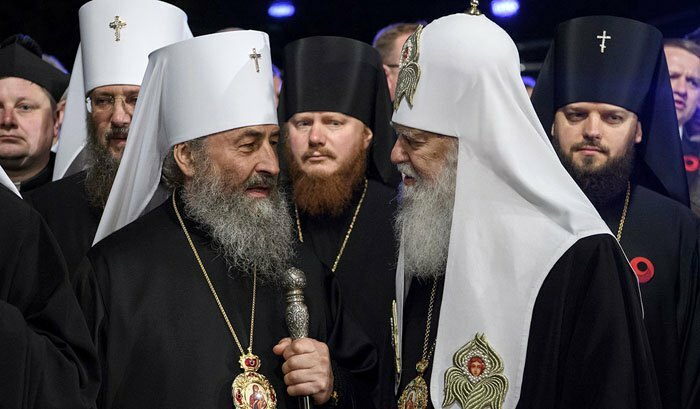 But the positions Filaret lost after the creation of the Kyiv Patriarchate (which had been considered an act of schism until 11 October) were recovered. Thus, there are no non-canonical churches in Ukraine today. Moreover, supporters of the "Russian world" have lost their main argument against the Kyiv Patriarchate (KP) leader. They used to accuse him of "schism, heresy and of being a deplorable man". 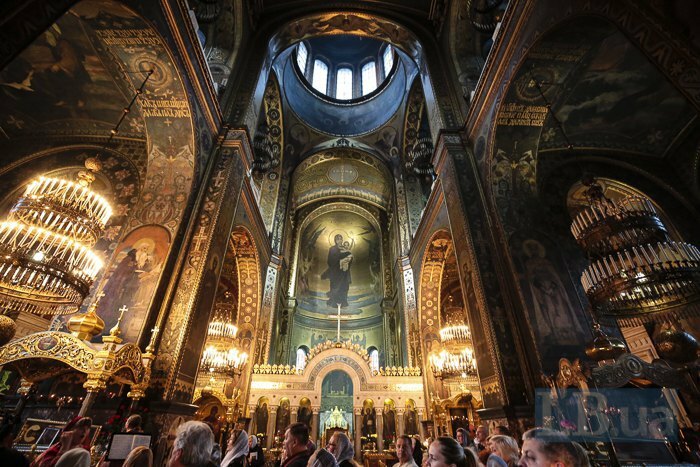 They said if he wanted to return to the Mother Church" (that is to unite with the Moscow Patriarchate (MP) on its conditions), he must come, repent and be (just like all other KP priests) ordained anew. And this would happen if the MP took pity and allowed them to be ordained again. From now on, such arguments are no longer relevant. In fact, since 11 October, the KP and the MP in Ukraine are in equal canonical conditions. This greatly simplifies the unification process as a result of which a new Ukrainian Church will be established. And this, of course, is more than about the church, the clergy or even the parishioners. It is about the nation, dignity and full independence. Formally, the process will look like this: in the near future, representatives of the KP, the UAOC (initially acting as initiators of the application for the tomos) and individual MP hierarchs (who signed the letter to Fener in which they asked it to pay attention to the systemic pro-Moscow activities of a number of their colleagues) will convene a meeting in Kyiv soon. How many representatives of the MP will arrive at the Synod? Will their number be sufficient for legitimate decision-making? We do not know the exact number but, relying on our own church sources and looking back at the "history of the issue", I would dare to suggest: a little more than 10 (which is approximately the number of the signatories of the letter). That, however, is quite enough for a formal statement: "the hierarchs of the MP are also in support of the unification". The main task of the meeting is to elect the primate of a new Ukrainian Church. Candidates will be announced, but the first one - the favourite - is already known. This is Filaret. The KP he is heading (which, I shall remind you, is now equal in rights with the MP) today has over 5,000 parishes across the country. When the KP was just being set up, no more than several dozens of the top clergy joined Filaret in the "schism". The KP as it stands today is solely his merit; it would be foolish not to recognize the managerial, organizational talents of Filaret. This is what the new Ukrainian Church needs today. How many representatives of the MP will join it? The KP expects at least half. But this estimate seems too optimistic. Most likely, no more than 20% of the parishes from among the "advanced" ones will defect from the MP during the "first wave", mainly in large cities. The rest will "take a pause" to decide later. It depends, in particular, on the positions of the secular authorities. As you know, there are several bills in parliament which regulate not only the status, but also the name of the new Ukrainian Church, as well as the status of the Russian Orthodox Church on our territory. Given the political connotations, their adoption is unlikely to take longer than by the end of this year. 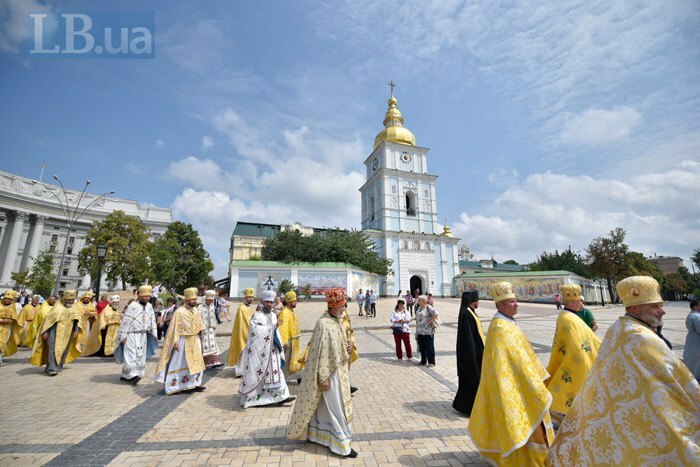 Nevertheless, the full-fledged formation of the new Ukrainian Church will take more than a year or two. Regardless of the dates of regular/early elections.